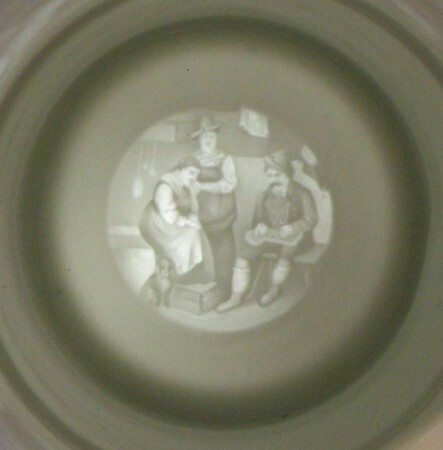 “Soldier drinking” by Quiryn Van Brekelenkam. 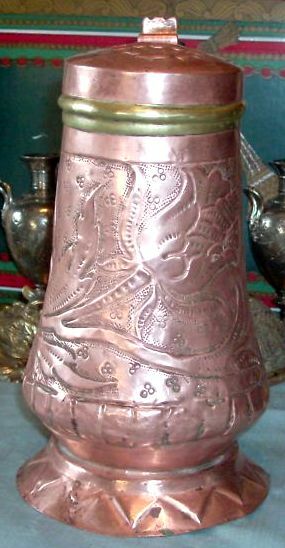 VINTAGE SCANDINAVIAN “CARVED JUG”, WITH IRON BANDS. 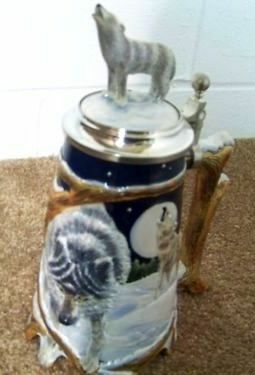 Does this mean the stein got ran over by one of those oversized vehicles Cadillac dealers used to sell ? Ballister = Bal´lis`ter (băl´lĭs`tẽr or băl`lĭs´tẽr) n. 1. A crossbow. Baluster = (b l -st r) n.1. One of the upright, usually rounded or vase-shaped supports of a balustrade. But then of course, that is an incorrect description too; as quoted: “usually rounded or vase-shaped.” This piece is about as straight as anyone could make it! 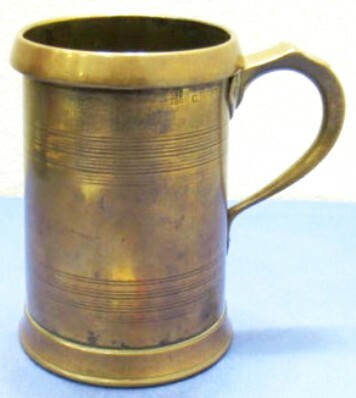 To add insult to injury, it’s a “pub measure”and certainly not a beer stein! I guess you can stand this stoneware warrior up in a corner, or maybe even outside as a lawn ornament? 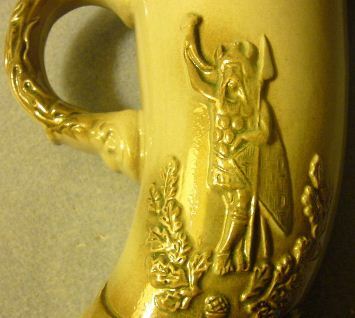 If the eBay seller had even looked at the side scene, they might have gotten a clue. But they were from “Fred-neck” Maryland, what can one expect ? 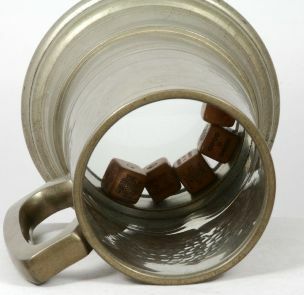 According to “The Free Dictionary “Dices” is secondary but allowable – but who the hell ever says “dices”? English as a second language. 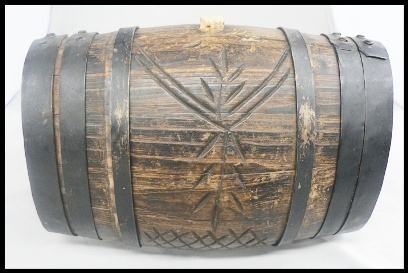 RUNNER UP (NO..2 ) as I can see it would take a basic knowledge about beer to recognize this [Maybe?] …. On eBay, 9-2011. RARE! 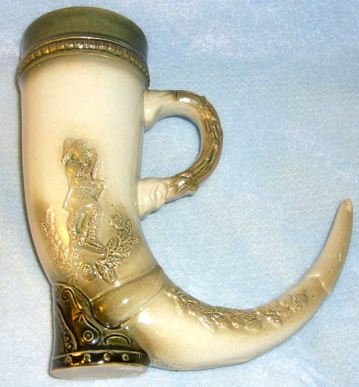 EARLY HAND MADE ANIMAL HORNS GLASS STEIN – DEVIL? 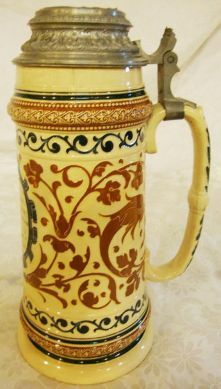 “Bock is the term for a strong lager of German origin. 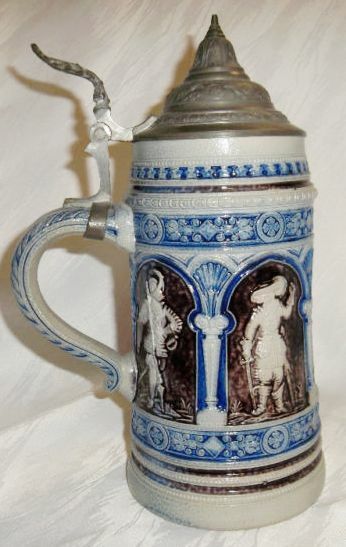 Several substyles are based on bock, including maibock or helles bock, a paler, more hopped version generally made for consumption at spring festivals; doppelbock, a stronger and maltier version; and eisbock, a much stronger version made by partially freezing the beer and removing the water ice that forms. 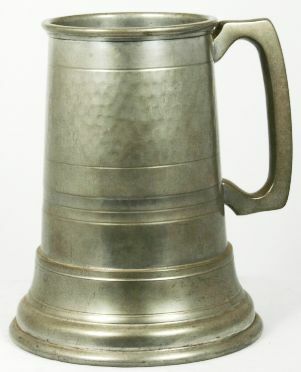 Originally a dark beer, a modern bock can range from light copper to brown in colour. 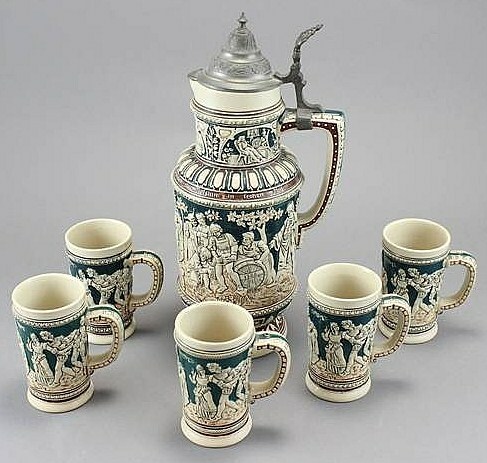 The style is very popular, with many examples brewed internationally” Source: http://en.wikipedia.org/wiki/Bock. 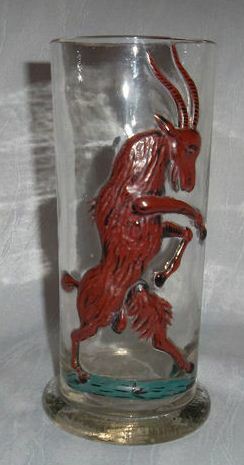 Another example of a “devil’s stein.” This time in pressed clear glass and nowhere near as nice an enameling job. 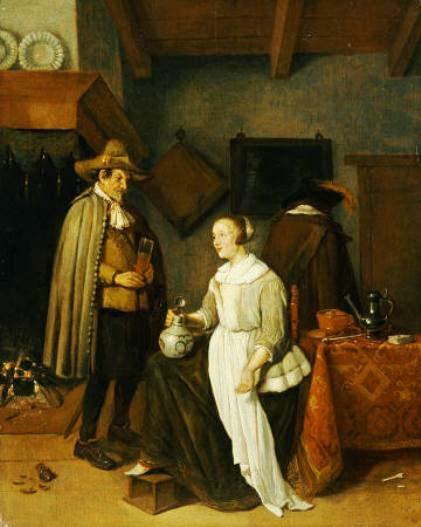 Beer garden scene in relief. 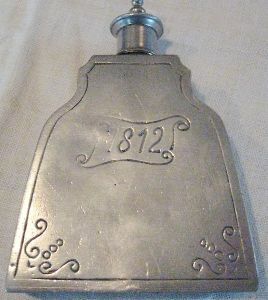 With metal hinged lid. 1. (wine) A bottle of wine containing 1.5 liters of fluid, double the volume of a standard bottle.